How often these days we hear the buzz words, reduce your footprint. It’s a term that refers to sustainable living; a hot topic here in Portland, where many people are committed to taking up less space, not more. 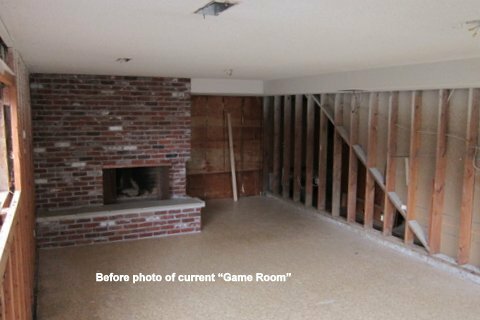 An increasingly popular remodeling idea, many homeowners are excited to learn they can capture unused spaces – basements, attics, garages and ADUs (Accessory Dwelling Units) to increase sq footage and add character and functionality to a home. We were honored to be invited to participate in Portland’s annual Tour of Remodeled Homes, which included a total of 14 homes around the city and a wonderful variety of remodeling projects. For our showcase project, we transformed a dingy basement to increase living space… without actually adding on. The basement – 1700 sq. feet of unused and virtually forgotten space – was a diamond in the rough just waiting to be re-purposed! More than 200 people dropped by our Tour home to see how we transformed the narrow, maze-like basement (empty for 16 years) into a bright, fun and practical living space. 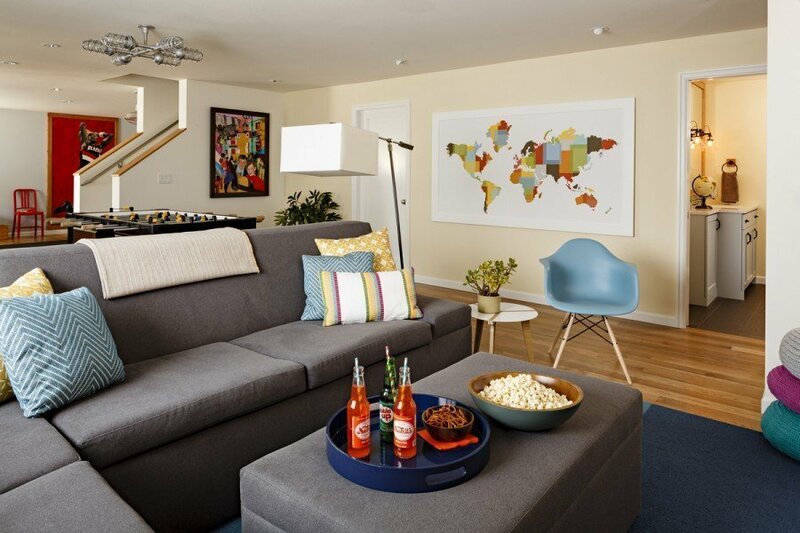 This re-purposed space increased the value of the home and, even more importantly, provides a wonderful area for relaxing, entertaining, and enjoying family and friends. Need Help Choosing an Area Rug? Read Our Guide on Patch!